All qualified voters will be able to vote in every category, though you do not have to vote in every category to complete your ballot. In most cases, you will be able to watch a video clip from each of the nominees. In some categories, the entire project will be posted, In others, a collection of stills will be available. If you have already seen the work, you will be able to “scrub through” the clips, or skip them entirely. Annie Award voting uses a weighted system. There will be up to five nominees in a given category, but you will vote only for your top three selections, giving a #1 to your first choice, #2 to your second choice and #3 to your third and final choice . You must vote for three nominees in each category in order for your vote to be counted in that category. You may refrain from casting a vote in any category for which you do not feel qualified to vote. You will not be required to complete your ballot in one sitting. 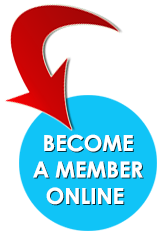 Your selections are saved automatically, so you can log out at any time and then log in to return to the ballot as often as needed during the voting period. As your selections are saved on-the-fly, there is no need to ‘submit’ your final ballot — all saved votes will be tallied after the voting period has ended. 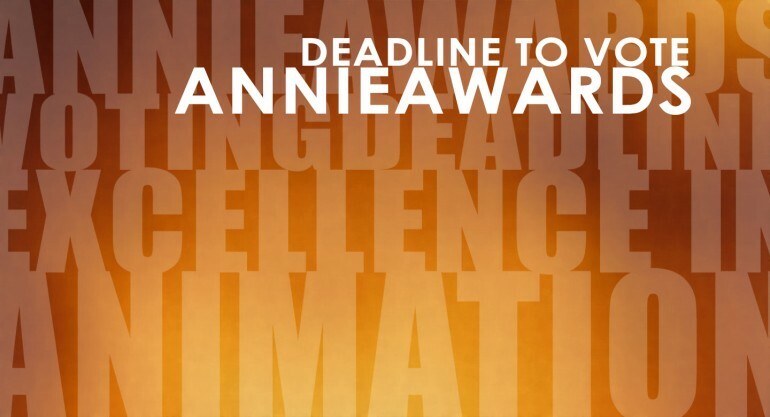 If you have any technical difficulties while filling out the ballot, please email votinghelp@annieawards.org. The deadline to cast ballots is midnight, Tuesday, January 23, 2018. No exceptions. Late ballots cannot be counted. Thank you in advance for voting! 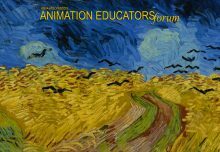 We hope to see you at the 45th Annual Annie Awards on Saturday, February 3, at UCLA’s Royce Hall . Event and ticketing information is available online. Can’t Be There? Watch The Annie Awards Live on our Streaming Channel!